The purpose of science is to explain the nature of the natural world and how it operates. Those answers, even the ones we do not always like, have often been used to inform or improve public policies. However, in some domains where the answers conflict dramatically with long-held beliefs or values or even turn out to be very inconvenient, like climate change, policymakers and the broader public seem to feel free to distort, deny, or simply ignore what science is revealing. It is rare, however, that policymakers, apparently fearing they will not like the answers they will get, attempt to totally stifle a scientific field. But that is exactly what has been done for research on the public health aspects of firearm-related violence, its consequences, and their control. In response to lobbying by gun advocates, a rider was introduced in the 1996 federal government spending bill that “none of the funds made available for injury prevention and control at the Centers for Disease Control and Prevention (CDC) may be used to advocate or promote gun control.”1 The amendment was introduced by Jay Dickey, a member of Congress from Arkansas, and has come to be referred to as the “Dickey Amendment.” Although it is arguable that the amendment does not, in fact, prohibit CDC from funding research on firearm-related violence, it has been consistently interpreted that way. As a result, federal support for this line of research fundamentally stopped, although over the years some related grants have been supported by the National Institutes of Health (NIH), the National Institute of Justice (NIJ), and the National Science Foundation (NSF). The net effect of reduced support, of course, has been a dwindling of the research field. More importantly, any firearm policymaking that has been done has continued in the absence of data on which to base those policies. As a result, little if any real progress has been made in dealing with the public health problem of firearm-related violence. A variety of attempts have been made over the years to reverse the impacts of the Dickey Amendment and its interpretation, but they have consistently failed. In one such attempt that followed a spate of highly publicized tragic mass shootings in Connecticut, Colorado, Wisconsin, and Arizona, President Obama issued 23 executive orders in January 2013, directing federal agencies to improve knowledge of the causes of firearm violence, the interventions that might prevent it, and strategies to minimize its public health burden. One of those executive orders directed the CDC to identify the most pressing questions amenable to scientific research problems and mount an appropriate research program to fund those studies. In response, the CDC asked the Institute of Medicine (now the National Academy of Medicine) and the National Research Council to convene a committee of experts to develop such a research agenda. I had the privilege to chair that committee. The committee’s final report 2 was released later in 2013. As part of the committee’s work, a public forum was held where the full range of stakeholders testified about whether they thought such a research agenda was needed and what it should emphasize. Importantly, every one of the groups that testified, including such gun advocates as the National Rifle Association, agreed that firearm violence is indeed a major public health issue, that the current science base for public policy in this domain was woefully inadequate, and that the country needed more research to be done in order to develop more effective policies. Each group suggested topics that should be included in the agenda the committee would recommend. After the report was released in 2013, the committee briefed the leadership of the CDC’s National Center for Injury Prevention and Control, a variety of other agencies, and the relevant congressional committees, all of whom seemed grateful, since they knew how weak the science base was and felt they were fumbling a bit in the dark in framing appropriate policies. But then nothing came of it. There was no substantial follow-up to the Academies’ study and report by any government agency. The CDC never announced a research competition and never requested applications to carry out the proposed research agenda; President Obama did request small amounts of funding for gun violence research in the CDC’s budget a couple of times, though the funds were never appropriated by Congress. And, although technically the agency could still fund this kind of research through its regular base budget, it never chose to do so, arguing that it had other, more pressing obligations. The NIH, NSF, and NIJ have supported small amounts of relevant research over the years, but no agency has mounted a substantial, focused research program. Consequentially, the United States continues to work on firearm-related violence policy issues with (at best) a bare-bones foundation in scientific evidence about the nature of the core issues, and what potential interventions might be most promising. 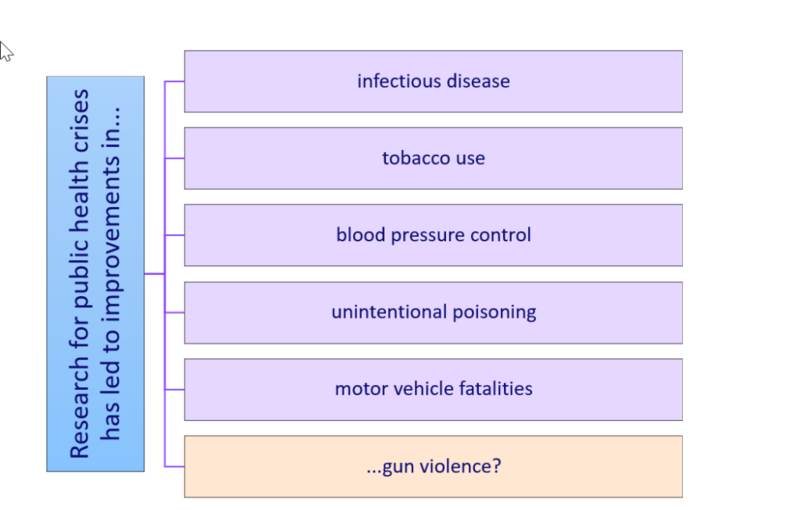 Why the aversion to research on firearm violence? During most public health crises, the first responses are typically to consult the existing scientific databases for clues as to how to proceed and scramble to get research done to fill remaining knowledge gaps as quickly as possible. This approach has been successful not only in controlling the spread of infectious diseases, but also in such behavioral domains as tobacco use, blood pressure control, unintentional poisoning, and motor vehicle fatalities. No such response has occurred in the case of gun violence. As the Academies’ report showed, there is much research that is needed, but no political will to get the work done. This is especially surprising in the face of the recent spate of highly publicized mass shootings occurring in public places. Why not? I believe this issue has fallen prey to the old proverb “never ask questions for which you may not like the answers.” This attitude has been attributed by many people to the same “gun lobby” that originally pushed for the Dickey Amendment, and that lobby remains quite powerful in American society. They see research as potentially dangerous to their fundamental beliefs and principles. They still fear that the consequence of learning more about gun violence and its consequences will be greater controls on gun ownership and use. Therefore, since they prefer the ability to make decisions based on their own ideology or intuition without having to rely on a scientific fact base, they have both directly and indirectly lobbied against any agency sponsoring a substantial amount of research. The consequences for the nation are great; firearm-related incidents cause over 100,000 injuries and/or deaths each year. Moreover, firearm violence, whether fatal or not, has profound physical and psychological impacts both directly for victims and for those in proximity to gun violence. The recent wave of mass shootings emphasizes this point, although deaths from individual incidents are far greater in number than those related to mass shootings. Our current science-free policymaking is clearly not working. It is time to develop and employ the same public health strategies we use for every other such crisis: focus on prevention, identify those people at greatest risk either as victims or perpetrators, and develop multidisciplinary strategies to combat the problem. The country depends on scientific research for guidance. It is urgent that the same approaches be employed for firearm violence as they are for other crises in this country. 104th Congress. "Public Law 104–208", 1996. Institute of Medicine and National Research Council. 2013. 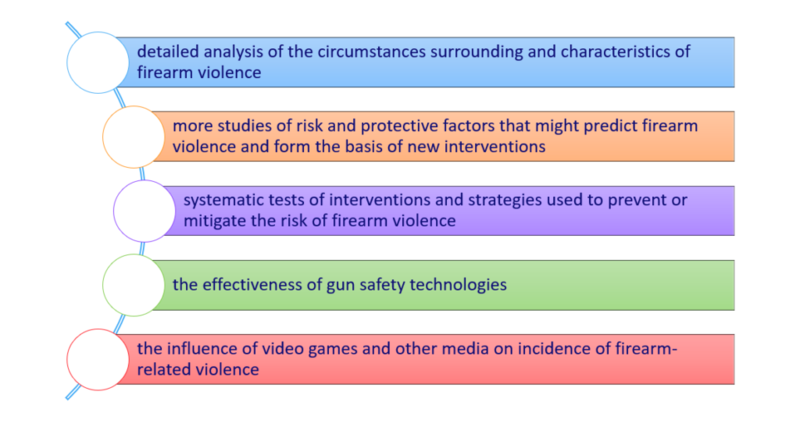 Priorities for research to reduce the threat of firearm-related violence. Washington, DC: The National Academies Press. Alan I. Leshner is Chief Executive Officer, Emeritus, of the American Association for the Advancement of Science (AAAS) and former Executive Publisher of the Science family of journals. Before joining AAAS, Dr. Leshner was Director of the National Institute on Drug Abuse at the National Institutes of Health. He also served as Deputy Director and Acting Director of the National Institute of Mental Health, and in several roles at the National Science Foundation. Before joining the government, Dr. Leshner was Professor of Psychology at Bucknell University. Dr. Leshner is an elected fellow of AAAS, the American Academy of Arts and Sciences, the National Academy of Public Administration, and many others. He is a member and served on the governing Council of the National Academy of Medicine (formerly the Institute of Medicine) of the National Academies of Sciences, Engineering, and Medicine. He served two terms on the National Science Board, appointed first by President Bush and then reappointed by President Obama. Dr. Leshner received Ph.D. and M.S. degrees in physiological psychology from Rutgers University and an A.B. in psychology from Franklin and Marshall College. 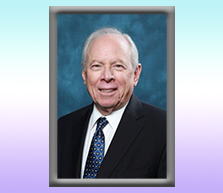 Dr. Leshner has received many honors and awards, including the Walsh McDermott Medal from the National Academy of Medicine and seven honorary Doctor of Science degrees.